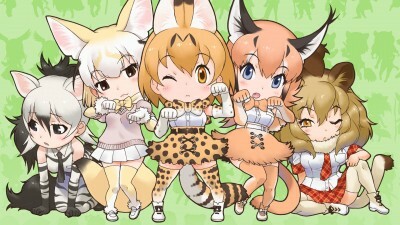 The girls find themselves come across some feuding crocodilians and leopards, who have a hard time believing that Kyururu is a human. Their leader, Western Lowland Gorilla, offers to let Kyururu meet a human she knows on the condition that she pretend to be scary in order to stop her underlings fighting with each other. However, this only leads the two factions to fight over Kyururu, as they believe humans have the ability to make animals their servants. To remedy the situation, Kyururu makes a paper wrestling game for everyone to settle their disputes with. 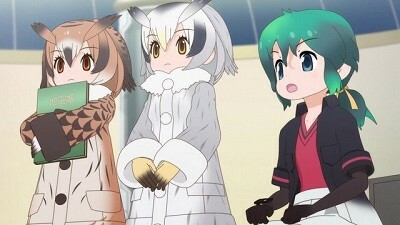 Just then, Kyururu is attacked by an aggressive Friend, but is saved by the arrival of another human; Kaban.